GROUP - LETS BUILD A BETTER YOU. It’s time to begin your journey to greatness. The best thing you can do for your fitness and wellbeing in 45 minutes. Each BT practice brings a new challenge that will leave you wiped out. Every practice is different, because your body adapts quickly and your mind gets bored with the same old routine. And many more vigorous acts of bravery we’d be foolish to share here. BT follows a very simple concept of practice; If you show up, the results will too. “I’ve been working with David for over 5 years. He pushes us out of our comfort zones but by doing so we have gained so much from his encouragement. Truly wants the best for each person he works with and motivates each person, no matter what level. Goes above and beyond!" ​David Berger is an American College of Sports Medicine Gold Standard Exercise Physiologist with over 20 years experience getting professional and unprofessional athletes into killer shape. 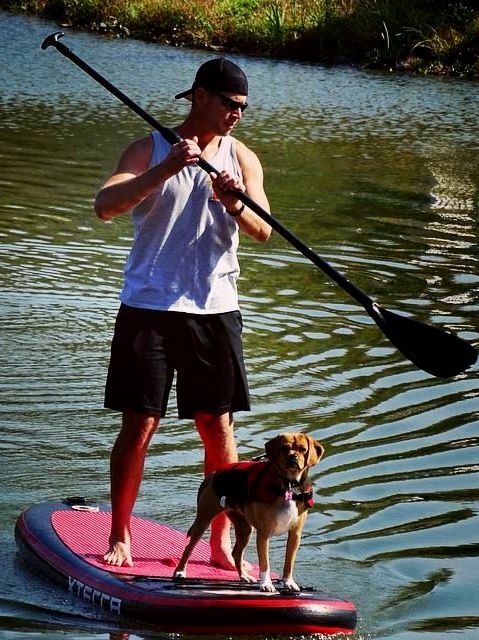 When he isn’t coaching you can find him paddle boarding accompanied by his puggle, Libby. Dave developed BT in 2008 in order to help more people achieve greatness. He wanted to get everyday people outside and truly challenge them to abandon their comfort zones.